The new need for speed | Flickr - Photo Sharing! 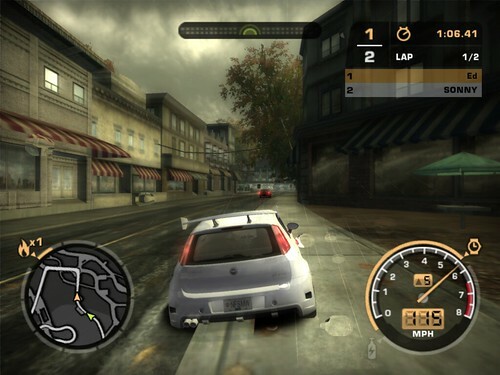 I got the new need for speed (most wanted). It's good fun, great graphics and schocking speeds. I managed to hit 175 mph in a golf gti. You soon realise how unstable cars get when they're pushed over the 100mph limit! The rain looks awesome and the car changes handling in the rain! singh_dakshdeep and OG*MARTÍN added this photo to their favorites.